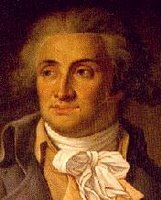 Marquis de Condorcet (1743-1794) was a pioneer in applying mathematics to the social sciences. His jury theorem states that if each member of a voting group is more likely than not to make a correct decision, the probability that the highest vote of the group is the correct decision increases as the number of members of the group increases. The sum of information available per juror is also proportional to the probability of the correct decision, which means that the more individuals jurors know (or understand) the more likely is that a correct decision will be reached. Democracies are thus theoretically, or potentially, better than dictatorships because they can solve problems better by means of collective decisions. However, as a recent article in the Economist correctly pointed our, human societies are prone to groupthink which neutralizes the benefits of the jury theorem. Groupthink is typically found in modern parliaments where members vote along party lines, regardless of information available. In societies at large groupthink often manifests as a result of brainwashing by the media. For example, once the financial crisis became headline news terrorists “disappeared”. Terrorists and terrorism, was the mainstay of media output since 9/11, as if the world was at the brink of being blown up by a mad suicide atom-bomber. Groupthink in the western world meant that citizens conditioned their political thinking under the spectre of terrorist threat, mainly coming from so-called Islamo-fascists dreaming of resurrecting the caliphate of the Middle Ages. All that has disappeared now, and replaced with a new enemy of the people: the amoral bankers. The new fear is losing everything, job, savings, home in a black financial hole. Along with the terrorists global warming has also disappeared from the foreground. Who cares about the melting of arctic ice when there is a meltdown of financial institutions? And so on. So the question arises how are we, the human race, become able to deal with global problems (poverty, ecology, financial institutions, epidemics, etc.) when we are constantly swayed by the forever trembling cyclopic eye of the media? How can we, the jurors, arrive at the best possible decisions, when information is restricted, or conditioned by groupthink? A possible answer may come from evolutionary biology. Darwinian sociobiologists studying the behaviour of social animals such as bees and ants, are beginning to understand the way those creatures chose between various options. The ant species Temnothorax albipennis, studied by Nigel Franks of the University of Bristol, establishes a new nest by attenuating information-sharing of best routes amongst scouts. When a suitable place is identified the scouts begin to lead other scouts to the new site. To speed things up, the ants have developed a strategy whereby efficiency is increased by means of leading scouts back to the nest via the quickest route during the phase of migration. Thus, by going to and fro, more scouts become familiar with the route and the speed by which migration takes place increases. This type of dynamic – termed by the researches “reverse tandem runs” – resembles the loading of connections in a network. Perhaps then, the ants shows us the way too. Human networks may provide the answer to getting over groupthink, and utilizing human collective intelligence and collective decision-making. There are two main characteristics in human networks: firstly, that most individuals have few connections (some friends and family members only) and only a few are highly connected (the “connectors”); secondly, networks are clustered, i.e. they tend to build around specific social groups (e.g. sharing the same profession, or hobby, etc.). If we manage to find strategies in human networks whereby we connectors increase the load of connections by means of increased information, then we may be able to get over the groupthink problem. Connectors have an obvious evolutionary motive to perform this task, namely to safeguard – or increase – their prominence and status in the network. To validate information passed to a network by the connectors, one may use the power of clustering. In clusters, peers are able to perform instant validation of information. This is apparent in readers’ commentary in news websites, as well as wikis. Collective decisions are complex but so are the problems that currently face humanity. Current global institutions, such the UN, or the IMF, or the G7, are built on 20th century ideas and technologies. We must now develop new technologies and ideas in order to tap on the collective intelligence of human networks. The democracy of the 21st century will have to be less representative and more direct, in a totally new way.